Aggression in the workplace can be quite severe, as we need to deal with abusive bosses and co-workers. There are always bullies at different levels, they can be bosses or our fellow enemies. In many cases, long term bullying episodes may result in reduced productivity and distress. In many workplaces, people at higher business hierarchy are more likely to become bullies. Bullies are those who tend to have authoritarian style of leadership. It could happen when a business known for its culture of harassment and there are little things the upper management board does to prevent this from happening further. There are many reasons why people tend to become bullies. It is probably caused by their mental makeup and in other cases, this is an intentional act. People may also do it due to self esteem issues and by being authoritarian, they seek to gain respect in an unhealthy manner. They simply fail to interact in a proper manner with other people. Bullying reaches a serious situation when it’s related to disabilities, sexual orientation and religion. It is important for business leaders and owners to eradicate bullying, because it has no correlation with productivity. It is important to know what kind of bullying tactics that are used in the work area. It is a good idea to have an external consultant who can detect possible harassment mentality in the organization. There should be an effective bullying prevention program. Training session should be performed to improve relationship between employees. There should be HR directives that can eliminate any kind of possible harassment mentality in the organization. The business organization creates a policy regarding possible workplace bullying. It is also important to make sure there are adverse consequences for any kind of bullying activity. These consequences should be properly outlined in the procedure and policies of the organization. Everyone in the company should be aware of the severe consequences related to bullying. Similar methods have been successfully in some schools to prevent possible problems with children. It is important to know that methods that can be used effectively against bullying children can be applicable as well for bullying adults at certain levels. Business leaders may gain inspirations on how aggression is reduced significantly at schools. Some of the methods can be altered and improved, so they would better match the situation in the workplace. This should help to reduce the overall aggressiveness. In more serious cases, workplace bullying could result in occupational injuries and even homicide. 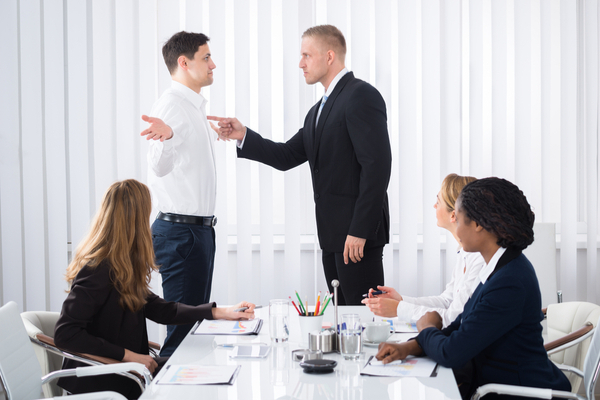 Business owners should know things that can happen in the workplace due to aggressive bullying, such as intentional ostracism, verbal hostility, work slowdowns, impeded ability to perform proper works and this may cause a great deal of harm at many levels. If there’s a commonly known conflict in the workplace due to bullying, business owners need to resolve the situation as soon as possible. The most important goal is to make sure that the overall productivity level can be enhanced the highest possible manner. How Emotions Affect Your Financial Decisions? How to Easily Save Money On Clothing?